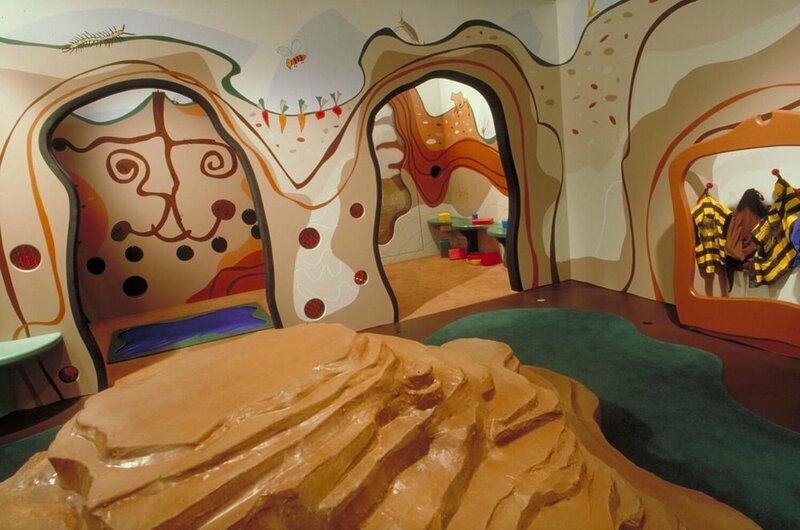 Originally designed by The Sibbett Group in 1994 and expanded in 2005, this is the core experience for preschool visitors at the Bay Area Discovery Museum. 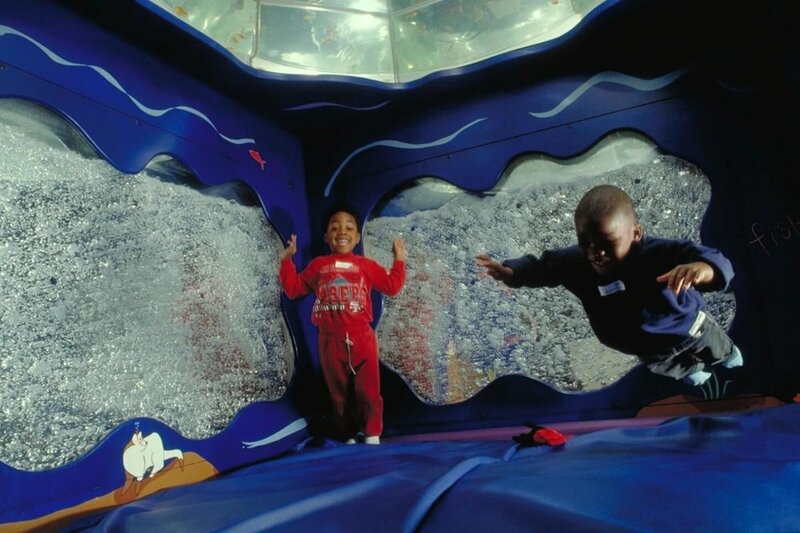 In the grotto, kids take pretend dips as they float on a waterbed surrounded by bubbles and dappled sunlight. 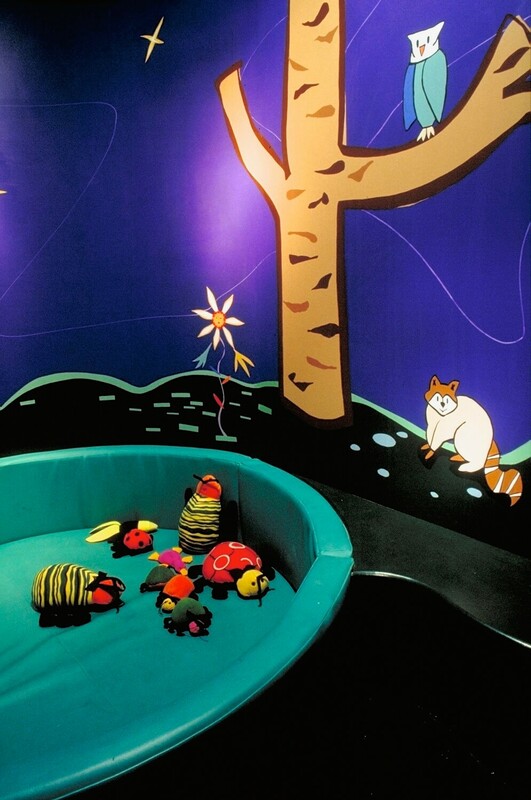 The pond above brims with bright fish and lumbering snails. Back on land, they can wander through an echoing bat cave, burrow underground like a bug, and explore a bustling ant colony.